Integrated Communications has over 50 years experience in the wireless industry. Motorola two-way Radio Equipment: Including Radius, Professional and Trunked radios. Two-Way Radio and Wireless service: We have technicians who repair portables, mobiles, pagers, as well as trunked radio systems components, and Anything Wireless. Alternatives for cell phone service: Integrated operates Wide Area Trunked Radio Systems. Public Safety Vehicle Build-ups: ICI has Full-time a installation staff, access to virtually any equipment provider, large vehicle garages, and a list of satisfied customers. Automatic Vehicle Location systems: Select between private or web based systems. Mobile Data Expertise: Ask us about portable, tablet, palm and permanent mount devices! Parts & Accessories: We maintain a large stock of Parts in inventory, and if we don’t have it, we can get it! Press Release: Integrated LLC announces the acquisitions of Strategic Communications Inc of 335 Bellevue Street in Jackson TN on November 1, 2012. As a result of the acquired assets Integrated will continue expanding their customer base and area of operation in West Tennessee. Integrated LLC will bring an extremely high level of service and product knowledge to the Strategic customer base. Being able to close such a significant transaction on the heel of the poor economy is a testament to the hard work and dedication of all of our employees to keep the Wireless Communication business going during these most turbulent economic times ,” said Clay Golday Vice President. John Atkinson Partner “This acquisition is a mutual success, and we look forward to seeing the benefits of this expanded market Area and product offerings that Integrated LLC brings to the table. “John Atkinson of Integrated LLC, brings a highly proactive energetic approach to the business.” “We expect the Jackson Facility to be very successful with John Atkinson leading the way. Says President Randy Willhite. From technical skills to practical application of wireless equipment, Integrated should be first on your list. Nineteen full-time service technicians, Ten sales representatives and several office support personnel to serve the local business and public safety community. Regular business hour service from 8:00am to 5:00pm, as well as, 24-hour emergency on-call service, including weekends and holidays. The Motorola Authorized Radius, Two-Way, and Professional Series radio Dealership responsibilities for West Tennessee and North Mississippi. 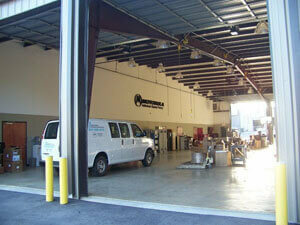 Public Safety and commercial vehicle installation and build-up expertise. Private Trunked Radio Systems that provide an inexpensive alternative to costly cellular systems. Special wireless capabilities for wide area networks, mobile and fixed data applications, and computer networking. ICI maintains a massive inventory of radios, parts & accessories. As an authorized service and sales agent for companies such as Motorola, Integrated Communications participates in a vast array of technology training. From technical skills to practical application of the latest technology, this keeps Integrated personnel up-to-date and knowledgeable about how to solve your communication needs. When you need to communicate, call Integrated! From two-way radios to special applications, we can help. Click here to determine what the right communications solution is for your business.